Announcing the launch of Pie, Oh My! | Pie, Oh My! Announcing the launch of Pie, Oh My! 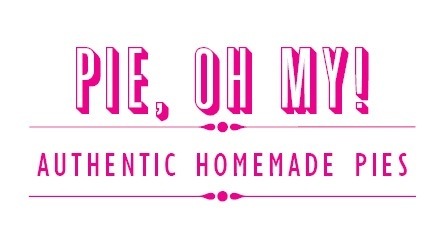 I am thrilled to announce the launch of Pie, Oh My!, the one-woman Cleveland-based pie venture providing authentic homemade pies from my kitchen counter to your home. Pie, Oh My! is not a traditional bakery but rather a small business that exists in my tiny kitchen in Ohio City! That’s where all the magic happens! In that little kitchen, I develop new recipes, refine old ones, and aim to create the most delicious and affordable pies for my customers. Did I mention that I deliver? Not only will I make the pies for you, but I will deliver them and if you live in Tremont, Ohio City, Lakewood and Downtown Cleveland, delivery is free! Support local baking and give Pie Oh, My! a try! Check out the pie menu, weekly specials, and my pie-centric blogs celebrating the joy of baking, cooking and entertaining! Also, don’t forget to “like” us on Facebook…it’s as easy as pie! Sorry, couldn’t resist! Thank you, homemadewithmess…I’m following your blog!